It is very special to be part of a family that enjoys spending time together. My boys and my nieces, even though they are many years apart hang out together and spend quality time with each other. This photo was taken at one of our family birthday events. I have used the ‘direct to paper ‘ technique for this LO – applying the Craft White Ink straight from the pad, directly to the black paper. There is no need to mat the photo as the ink provides a mat effect. 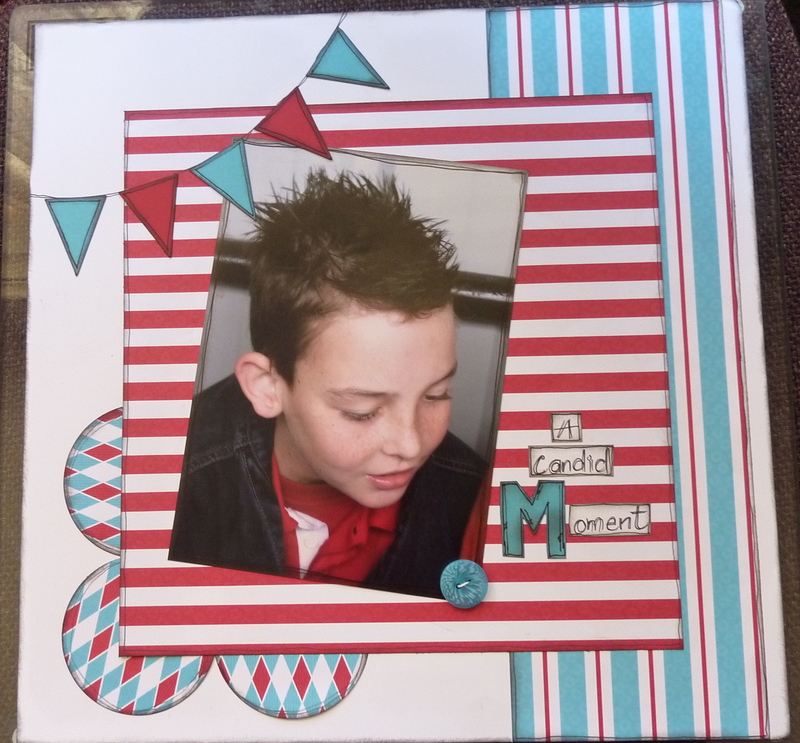 The Big Top Birthday DSP has been a favorite of mine, the vibrant colors are super for kids LOs. The Simple Letters Alphabet is jazzed up a bit with some faux stitching (pen lines). These are some of our Christmas 2011 photos of the children. 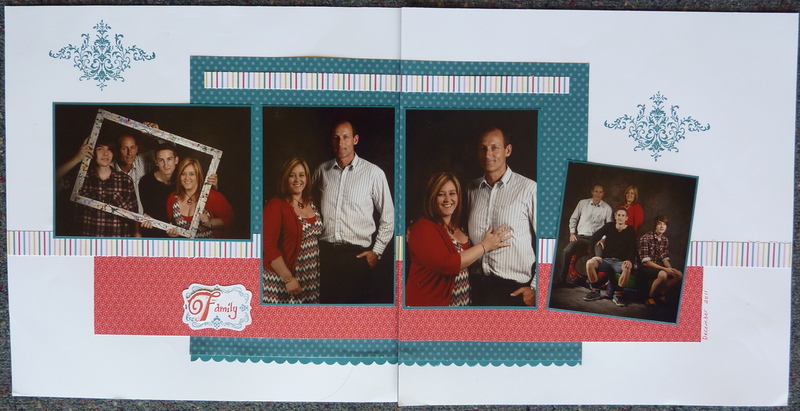 It is great to take photos at those special family events – put them in a LO and then compare with previous years. 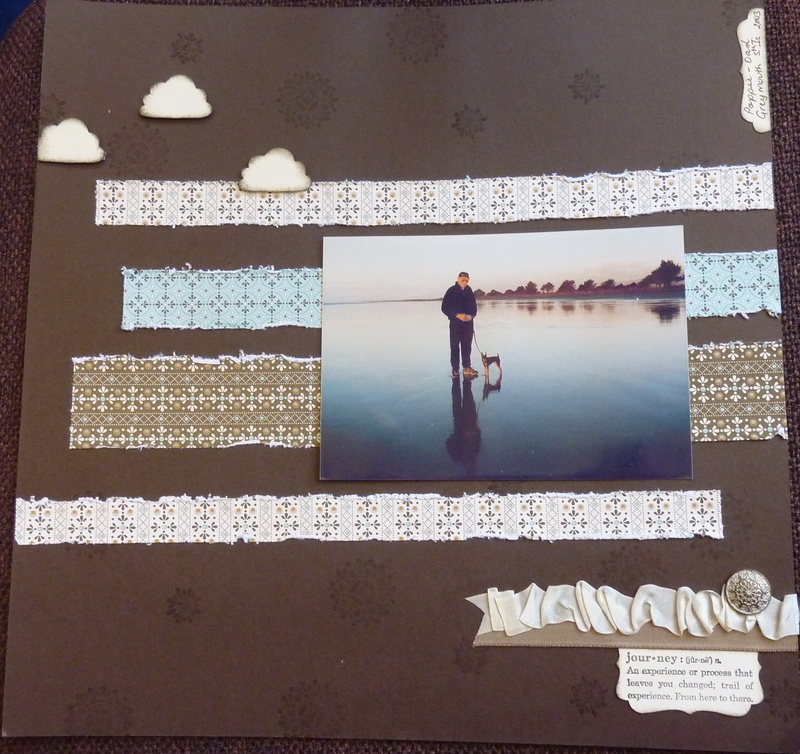 I used a PageMap for this page – I find PM are a good way to get started and very often my LO ends up looking nothing like the original sketch – not with this one though. I used the Patterns Designer Series Paper stacks, silver embossing powder for the Merry & Type stamps, and the Scallop Trim Border. We had a family photo shoot before Christmas 2011 – Ethan is off at Uni now so this was a good chance to get a photo of us all together – along with the fact that my brother is a photographer and was set up for a fundraiser shoot so we made the most of it. I usually avoid being photographed but it is important that we get those family shots for the album – then people know my boys did have a mother. 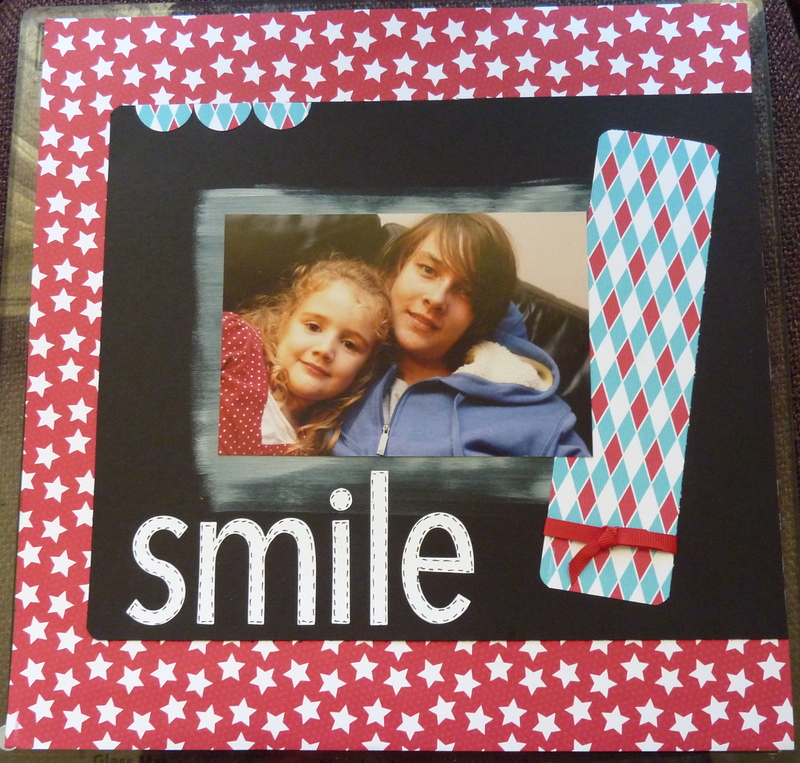 I used a PageMap for this LO and stamped with the Bliss stamp, the DSP Paper stacks, some Just Add Cake DSP , Pocketful of Posies DSP, the Broadsheet Alphabet and Four Frames stamp and my trusted Scallop Edge Border. I must say one of my favorite colors is Island Indigo – love it.